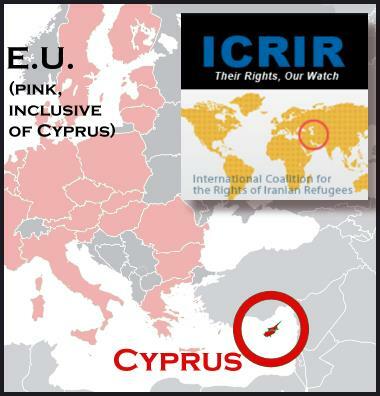 In support of the demands of the Iranian refugees in Cyprus, the International Coalition for the Rights of Iranian Refugees calls for protest at Embassies of Cyprus worldwide on May 7-8, 2011. Additionally, given recent statements by the Islamic Republic’s General Prosecutor Mohsen Eje’i and others clearly stating that anyone who files for political asylum will be prosecuted for propagating against the regime should they be returned to Iran, we also demand prima facie status for Iranian refugees. The demands of this action – for the Cypriot government, and by extension the European Union and UNHCR, to uphold the rights of Iranian refugees – extend to all refugees in Cyprus and in the EU, regardless of national origin. A protest action for Washington DC is confirmed, and activists in other cities who would like to participate are invited to submit their event information to Maria Rohaly (maria.rohaly@gmail.com); this information will be published and disseminated by ICRIR members and our extended activist network.